Old-fashioned whimsy. A hand-drawn pattern obcures save-the-date information. Included red decoder glasses reveal the hidden text. Fonts and layout are all customizable. 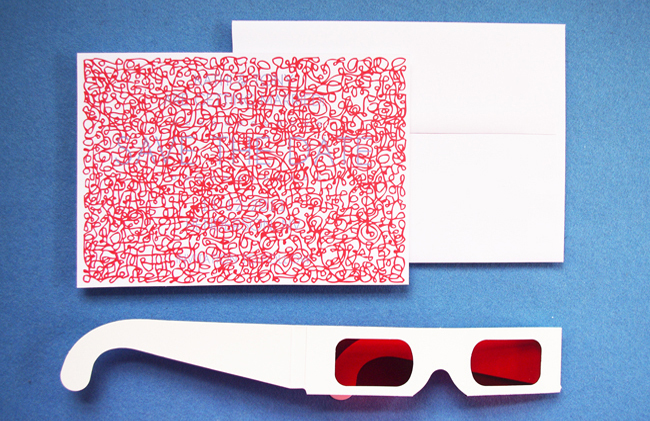 Each set includes a card, an A7 envelope, and a set of decoder glasses.